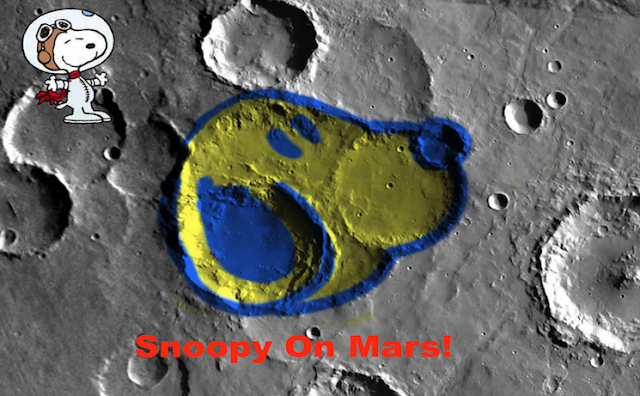 UFO SIGHTINGS DAILY: Snoopy Found On Mars Surface! June 2015, UFO Sightings Daily. Snoopy Found On Mars Surface! June 2015, UFO Sightings Daily. 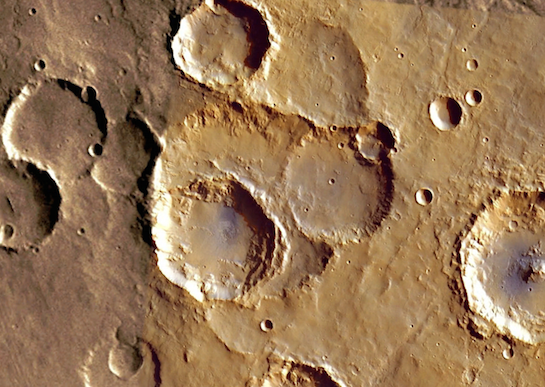 I was looking through Mars maps and found this really cool impact zone that looks just like Snoopy. It is possible that it was made by aliens, but I believe its naturally formed. If you like Snoopy, then you will love this when you see him immortalized on the surface of Mars. I hope you like the discovery. Sometimes Mars surprises me with an unusual and unique gift. Aliens are fun, and buildings are interesting, but Snoopy is in all our heats and minds.